This post is based on my experience, as I love screencast, and I created many videos to share my daily computer experience, today, I will share how I export alpha channel with Premiere Pro CS 6 from Adobe. In this case, I wanted to import a lowerthird movie, but it can be images, and other transparent movies. I had two ways, which were exporting it in .flv and .mov format. Although .flv file works on some programs or apps, but it isn’t always compatible with them. This is the story. When I exported it as flv, I opened it with VLC, it shows only green background and has no video playing. 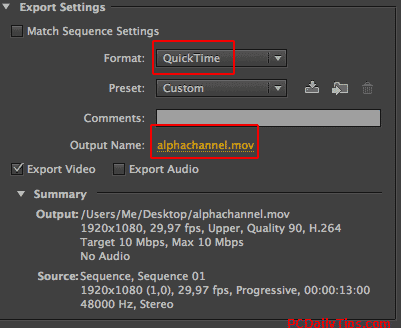 However, if I imported it in Adoble Premiere Pro itself, it will show the alpha channel video, which I wanted it. But I also want it to work with Camtasia, since I am using it to edit my video tutorials on YouTube, check out my other YouTube tips here. This is where the problem occurred. Camtasia didn’t even want to import it, it says, “The following files are unsupported or damaged : filename.flv”. 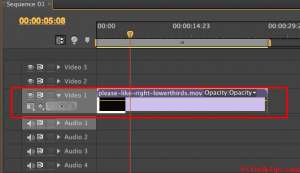 Then I tried to imported it to Screenflow, because I wondered it happens only with Camtasia. In Screenflow, it is even greyed out, so can’t even import any flv files. 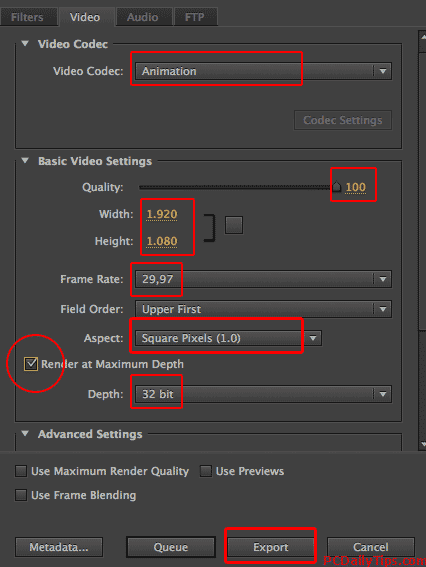 For this reason I can only recommend to export alpha channel with Premiere pro in .mov video format. b. Untick “Export Audio” checkbox. 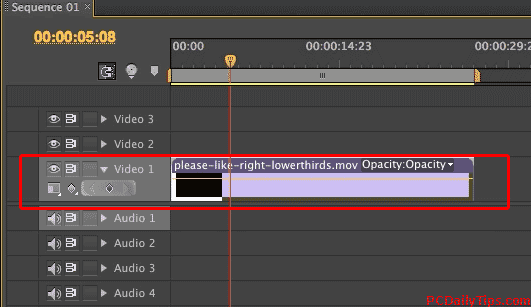 This is because I exported a lowerthird, I don’t need the audio. c. Click on orange font next to “Output Name” to name your new file and save wherever you like. For the summary, just leave as it is for now. Quality: drag the slider to 100. Width and Height, set to the source’s dimension, in my case, it was 1920 and 1080. Click the “Maintain Aspect Ratio” icon to deactivate, so it will let us typing our dimension. One thing you should double check is the “Depth: 32 bit” setting above. Because if you set it to other than 32 bit, it won’t show alpha or transparent, it will have black background. 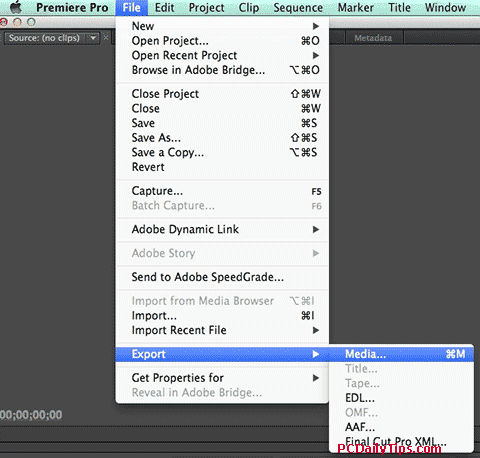 This is so far the method that works for me, let me know how you export alpha channel with Premiere Pro if you have one.